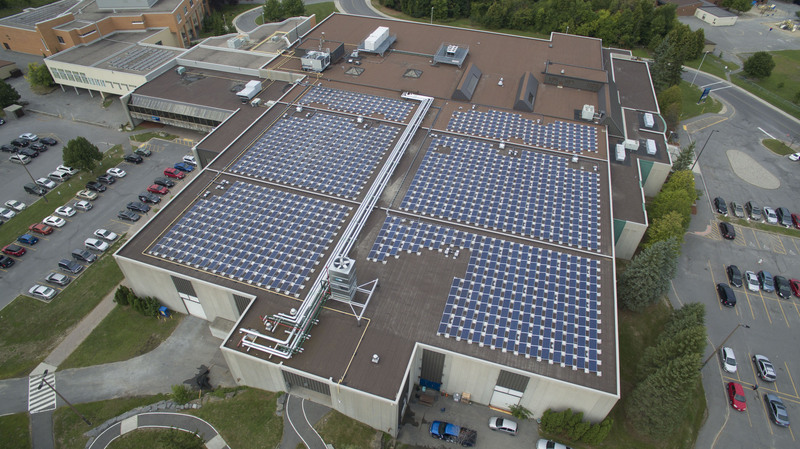 Ottawa, September 21, 2016 – Today, Energy Ottawa, a subsidiary of Hydro Ottawa, announced its solar rooftop installation project alongside the City of Ottawa and Mayor Jim Watson. The Jim Durrell Recreation Centre is one of eight large installation projects being planned on municipal buildings, including arenas, pools and city garages. 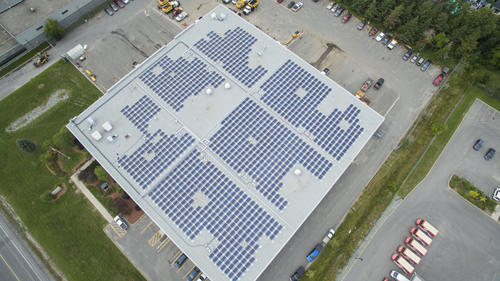 These installs will provide the city with an increase in its renewable generation and reduce greenhouse gas emissions by 41,382 metric tonnes over the 20-year term. 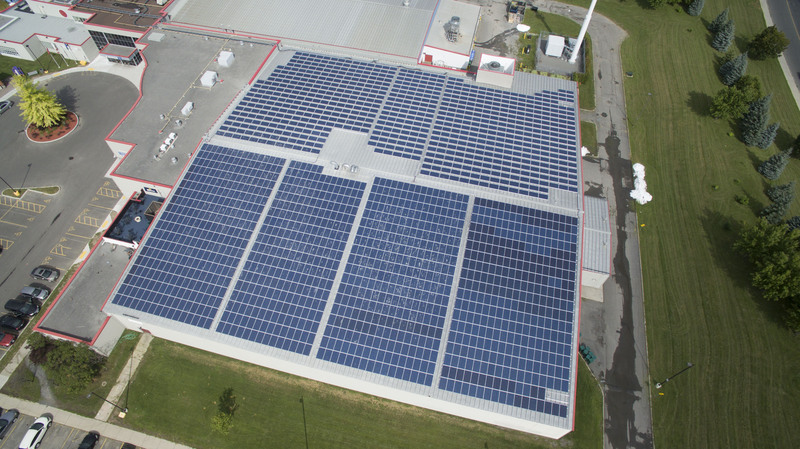 Energy Ottawa and the City of Ottawa entered into an agreement to pursue solar generation after the success of a 2010 pilot project that consisted of smaller solar systems installed at Ottawa City Hall and the city’s Integrated Transit Operations Control Centre on Belfast Road. 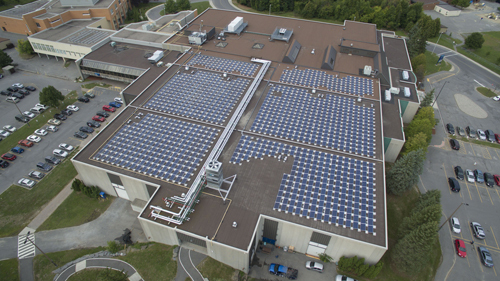 Once all eight solar projects are complete, the systems are expected to generate nearly 3,000,000 kWh/year; the equivalent of removing more than 300 homes from the grid annually. Energy Ottawa generates enough green power to operate 62,000 homes annually and is Ontario’s largest municipally-owned producer of green power. Solar power generating systems use photovoltaic solar cells to convert energy from the sun directly into a flow of electrons, which generates electricity for consumers. The City of Ottawa is expected to receive approximately $85,000 a year or $1.7 million in revenue over the 20-year contract. That’s found revenue for roof space that isn’t otherwise used. The Jim Durrell Recreation Centre’s 250 kW solar photovoltaic system, has an estimated output of 328,465 kWh/year (the equivalent of removing more than 30 homes from the grid annually). Operations Garage on Iber Road. Hydro Ottawa’s core businesses are delivering electricity, generating renewable power and providing energy conservation/management services. Hydro Ottawa is a community-owned, private company, delivering electricity to more than 325,000 customers in Ottawa and Casselman. 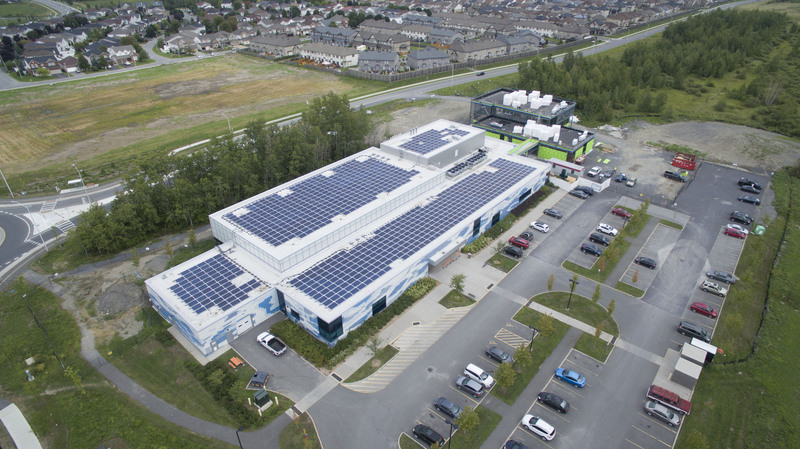 It is the largest municipally-owned producer of green power in the province, with hydroelectric and landfill gas-to-energy generating facilities. Hydro Ottawa Holding Inc. (Hydro Ottawa) owns and operates two subsidiary companies, Hydro Ottawa Limited and Energy Ottawa Inc.
A generator of renewable energy and provider of commercial energy management services, Energy Ottawa is the largest municipally owned producer of green power in Ontario. 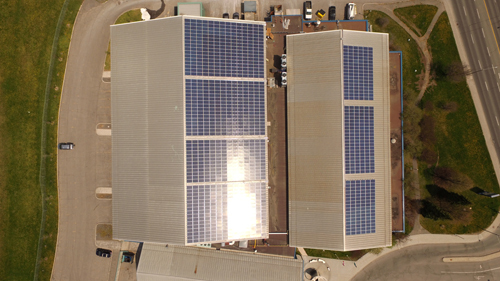 In total, the company generates 79-megawatts of clean electricity annually, which is enough to power 62,000 homes. Its diversified green energy portfolio includes six run-of-the-river hydroelectric generation plants at Chaudière Falls in the City of Ottawa’s core, six more in neighbouring Ontario communities and four in New York State. The company also holds majority shares in two landfill gas-to-energy joint ventures that convert millions of tonnes of previously flared-off methane gas into renewable energy at the Trail Road landfill site in Ottawa and the Laflèche landfill site in Moose Creek, Ontario.